Claire Dixon was born in Manchester England and grew up in Ontario, Canada. She studied Creative Writing at Montreal’s Concordia University, earning a bachelor’s degree, then moved to Baton Rouge, Louisiana to join Louisiana State University’s MFA in Creative Writing program. 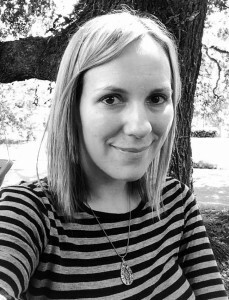 Following graduation from the MFA program, Claire enrolled in LSU’s School of Library and Information Science, where she obtained an MLIS degree. Claire has published poetry in journals including StorySouth, The Matrix, and the Hobble Creek Review. She won LSU’s William Jay Smith award for poetry in 2007. She has presented academic work at the American Folklore Society’s and the Oral History Association’s annual meetings, and worked as a librarian before beginning her current position as an analyst on a records management project for a government agency.